If you have driven down Mill St. lately you’ve probably noticed something happening at the corner where Adelaide St. intersects. The house that used to occupy the lot is gone. Construction equipment occupies the lot. Concrete footers are being poured and the site is being leveled with truckloads of sand. What’s going on? Welcome to the future site of Rejuv Ave. Skin Spa. Tracy and Scott Aubuchon hosted a groundbreaking ceremony to officially christen the new location. Employees, family, and friends were on hand to toast the event and share the excitement of seeing the business continue to grow. 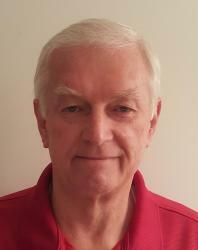 During the ceremony, Tracy reminisced about working with clients in a small one-room facility. Moving to their current location at 403 S. Leroy St. allowed the business to grow to its current size and staff. 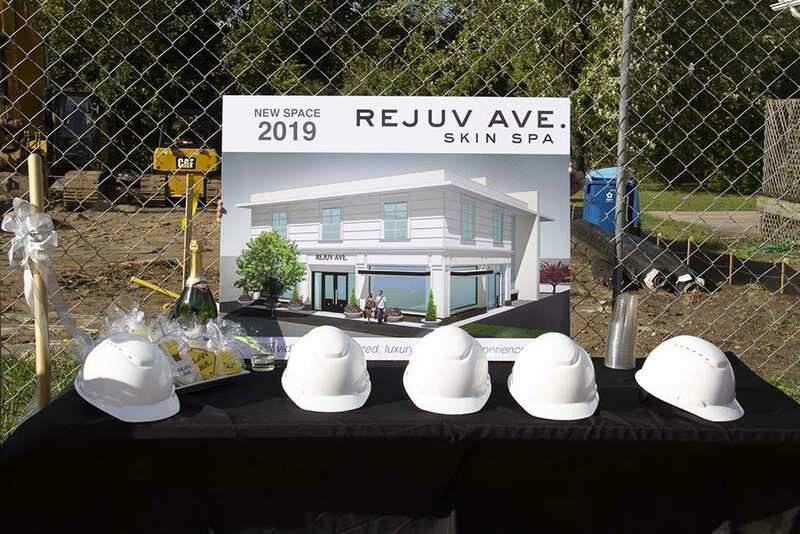 The new facility will have a total of 5 treatment rooms and include a high end, customized luxury skincare experience. 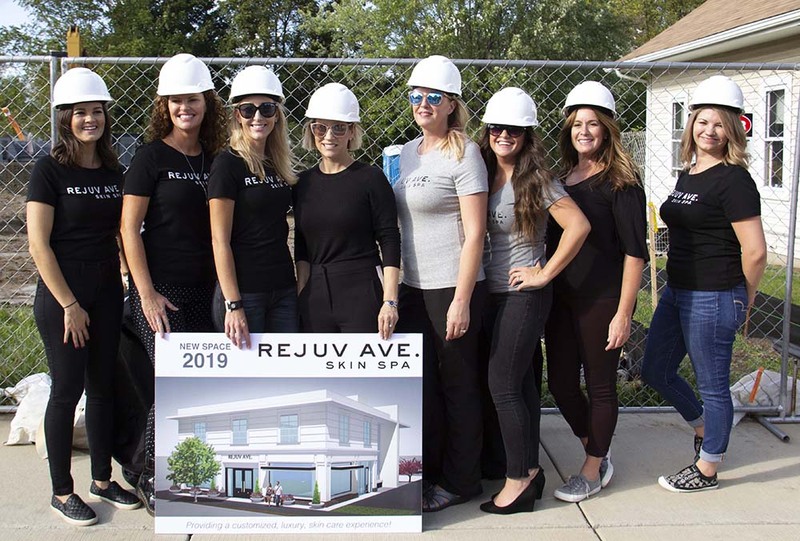 According to Tracy, “Rejuv will occupy the entire bottom floor of the building and some office space upstairs. With the remainder of the 2nd-floor space available to upscale boutiques and professional office space.” Adam Haffajee and Jennifer Lasco from Jennifer Lasco Real Estate will be representing the available space for lease and are already talking to potential occupants. For more information regarding the 2nd floor leasing call 810.433.9556 or visit https://www.jenniferlasco.com/. 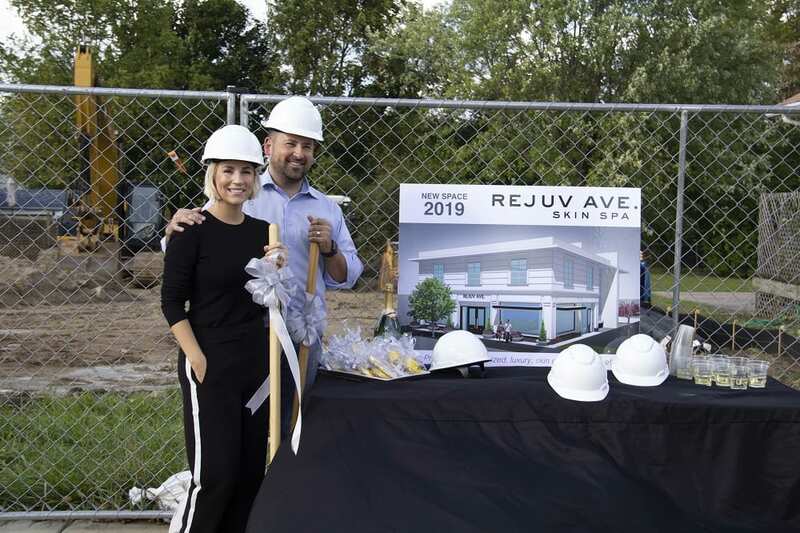 Scott adds, “it will be the most attractive building in downtown Fenton.” The Aubuchon’s expect the facility to be ready in late spring, early summer of 2019. We can’t wait, put us on the Grand Opening invitation list. Get busy with those shovels.